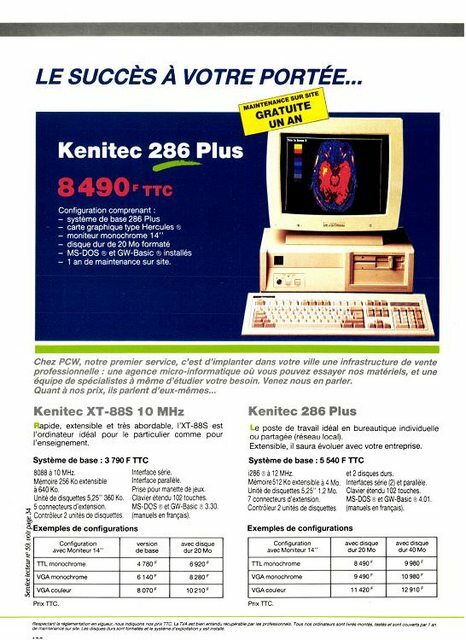 This computer was sold in France under the brand Kenitec in the early '90s. I haven't found much information about Kenitec but google reveals it was trademarked by "Arche Technologies" (which is the brand on the PSU). Maybe the Arche brand was more known elsewhere and they had the Kenitec brand reserved for Europe? I acquired 7 of these from the same seller a while ago and have been restoring a few of them so far. 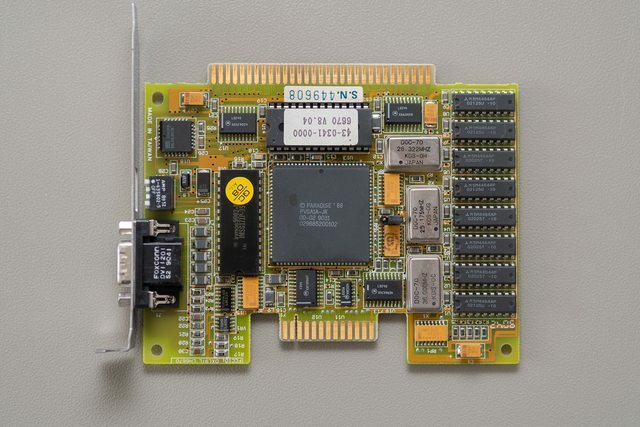 Most of them had a Suntac based 286-12 motherboard (marked "AMA-1240V1-D") - this one has 2MB of RAM. 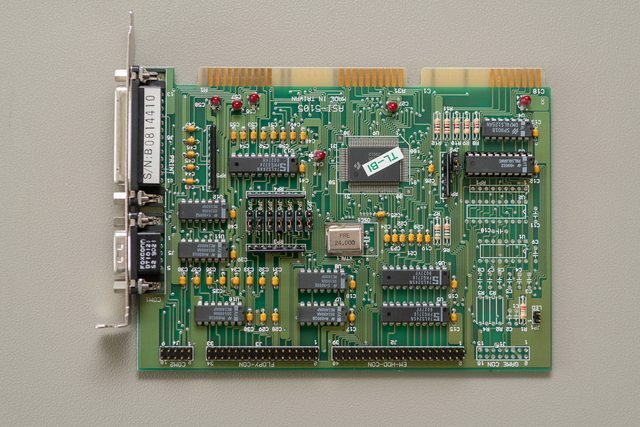 An ASI-5105 Controller Card. The parts seem to have received a label during assembly displaying either "TL-BL" or "TL-BK"... no idea what it meant. 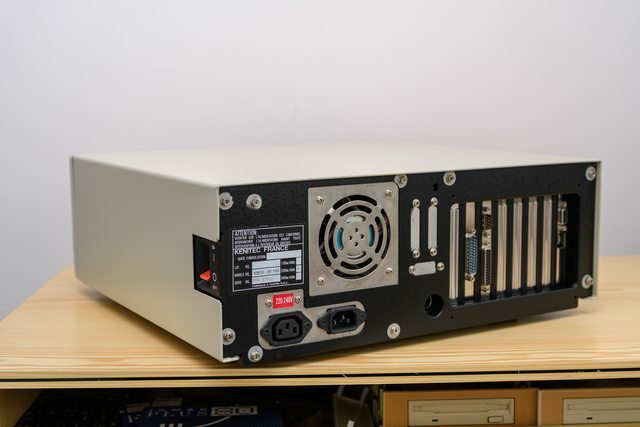 The case is quite nice and has a few similarities with an IBM 5160 - front sliding top cover, black paint on the inside, and a larger PSU (XT style?) with the classic red power switch on the side. 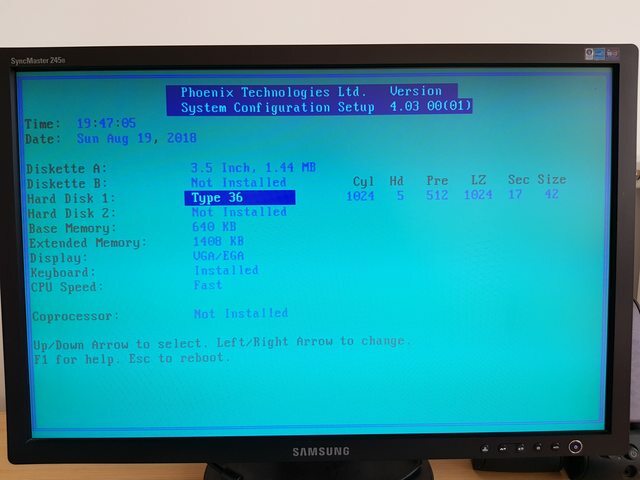 The BIOS is from Phoenix (version 3.10.22) and is very basic. 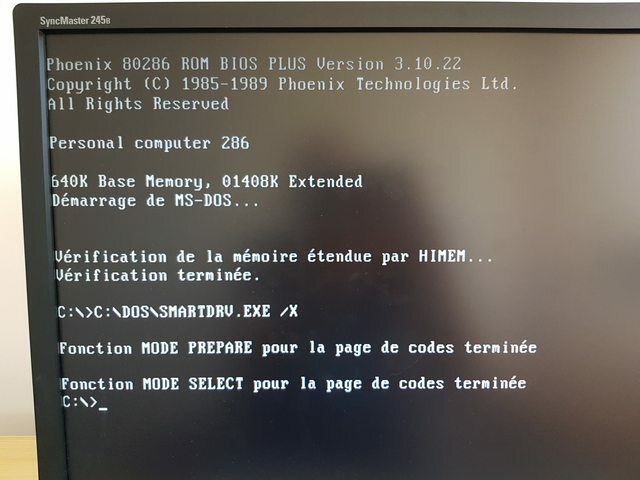 It doesn't allow user-type HDD but it might be possible to upgrade the board with a different BIOS. Last edited by MMaximus on 2018-10-10 @ 19:59, edited 1 time in total. 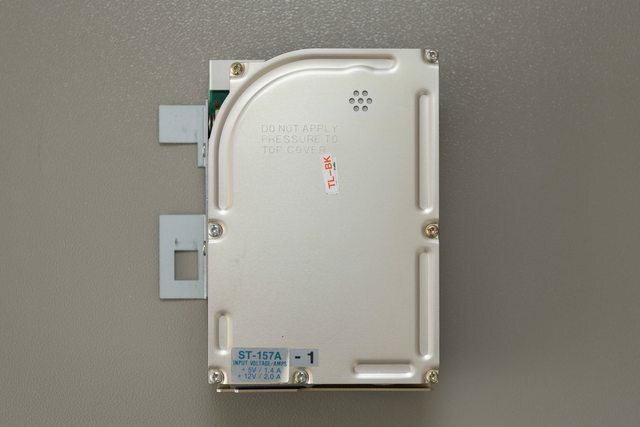 You should cover the hole on the ROM-chip with a black tape asap - content will be erased under light exposition. Can you please also contribute here please? Thanks for your comments and for the heads-up about the ROM chip. Incidentally I've only just learned about this method of erasing chips a few days ago by reading some comment on a youtube video. So you're right, I should probably check all my cards for missing stickers on these UV-erasable chips! 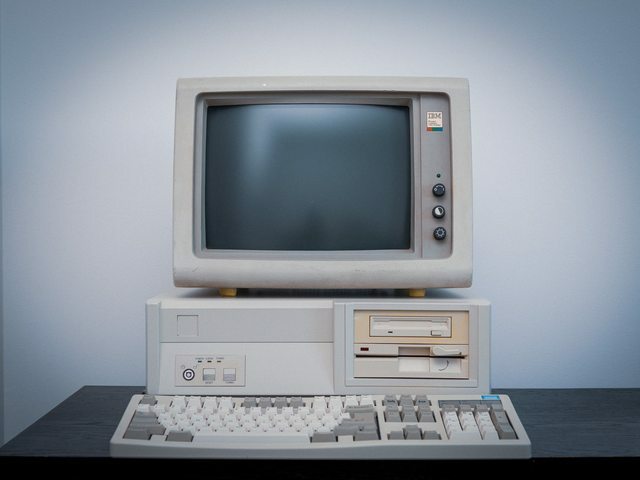 Here is another one of my Kenitec 286 PCs. This chassis doesn't have any case badge - I've set it up with an EGA wonder 800+ and I find that the 286-12 is a great match for EGA games. 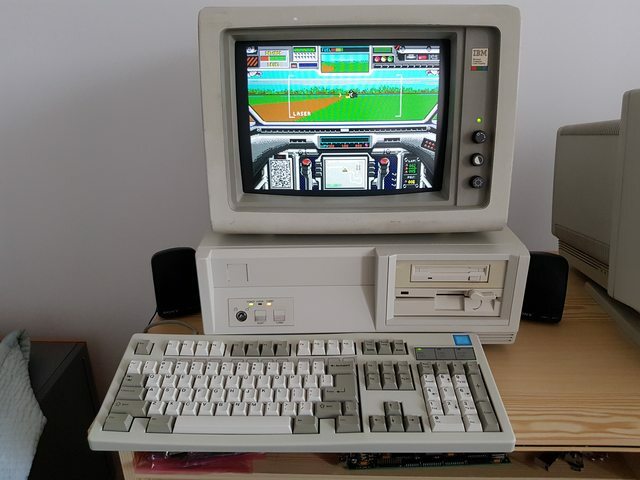 I've tried putting the EGA Wonder in a 286-20 and some games play too fast. Lovely machines. 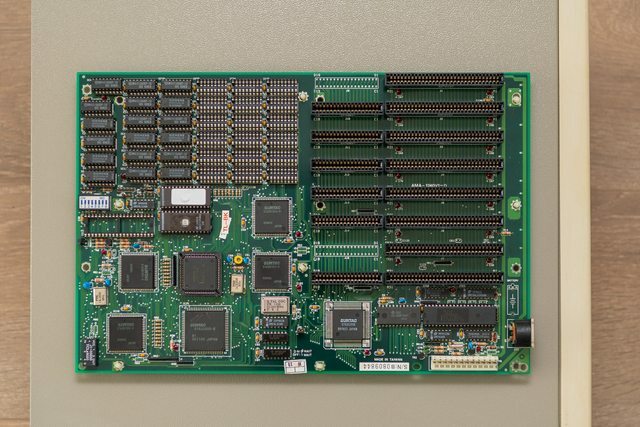 I have a very similar mainboard, labeled Peacock. But sadly it broke down recently. Will try to fix it, but not sure what's the problem yet. Probably bad RAM chip(s). This is regardless of the Turbo setting. For example in Dr. Hard - the benchmark is 1695 Hardstones in non-turbo mode and 2173 in Turbo mode. Reported speed is 8Mhz and 8.1Mhz. 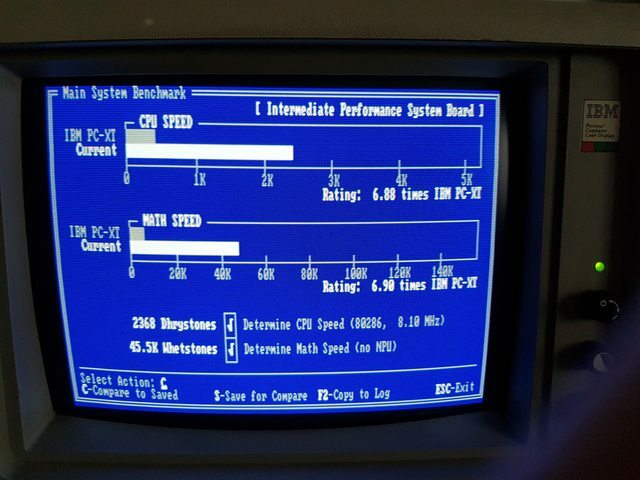 Maybe the Turbo switch doesn't change the CPU speed but adds wait states instead? Checkit gives 2368 Dhrystones in turbo mode. 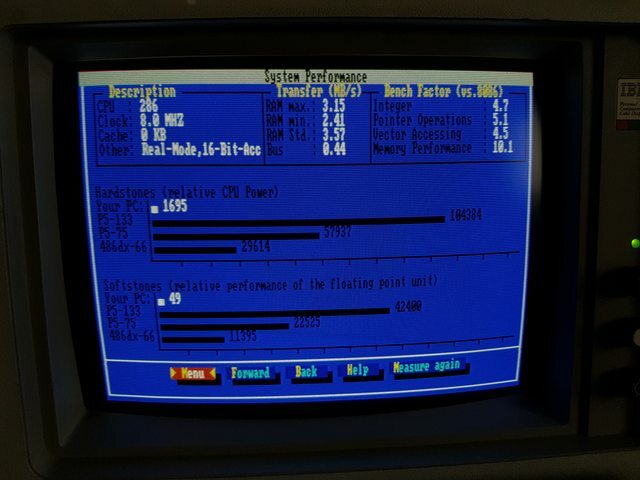 EDIT: I actually forgot there is a "Fast" and "Slow" CPU speed setting in the BIOS... There you go - 12Mhz!